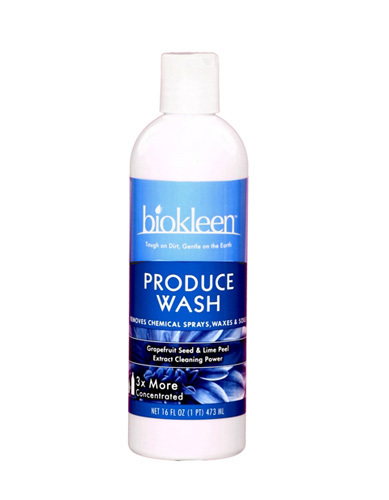 Our Concentrated Produce Wash effectively removes pesticides, herbicides, fungicides, waxes and soil for a healthier, safer diet and food preparation area. Hold natural taste and appearance longer, without the use of preservatives. • Use on cutting boards, food equipment, and counters Phosphate and Chlorine Free. INGREDIENTS: Lime Extracts, Grapefruit Seed and Pulp Extracts, Surfactants from Coconut and/or Corn, Cold Pressed Orange Oil and Filtered Water.